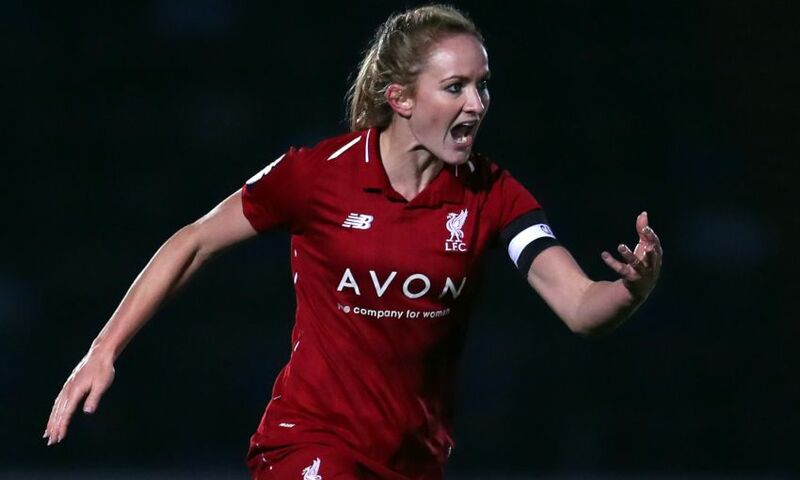 It was a frustrating day for Liverpool FC Women as they lost 2-0 to Brighton and Hove Albion in the Women's Super League at Prenton Park on Sunday afternoon. Goals in either half from Laura Rafferty and Ini Umotong secured the three points for Hope Powell’s side. Playing their first game of 2019, Liverpool boss Vicky Jepson was without influential players Jasmine Matthews, Rinsola Babajide, Rhiannon Roberts and Niamh Fahey. The away side started brightly and almost took the lead inside the opening four minutes when a surging run from Felicity Gibbons saw her cut inside and curl an effort just past the post. Reds stopper Anke Preuss then showed her quality with a brilliant close range save to palm a header off the line. The heroics of Preuss kept Brighton at bay again when she was at full stretch to keep out a curled drive from Chloe Peplow. The Reds carved out a big chance on 16 minutes when a free-kick from Laura Coombs picked out Courtney Sweetman-Kirk at the back post. Unfortunately, the striker didn’t realise how much time and space she had and opted for a first-time effort that sent the ball wide of the target. Brighton took the lead on 33 minutes and it came from a corner. Umotong struck a spectacular effort that came back off the bar and Rafferty was on hand to net the rebound from close range. Three minutes after the restart it was 2-0. A misplaced clearance fell to Umotong, who ran through to beat Preuss. On 55 minutes a superb run down the right from Liverpool substitute Yana Daniels ended up with her being brought down in the penalty area, but despite strong appeals only a goal kick was given. Satara Murray had an effort cleared off the line from close range but it just wasn’t the Reds' day. Jepson gave two of the club’s highly rated youngsters an appearance in the second half with Lauren Thomas being joined on the field by debutant Simran Jhamat. Liverpool FC Women: Preuss, S Murray, Robe, Little, Bradley-Auckland, Rodgers, Clarke, Coombs, Sweetman-Kirk (Jhamat, 74), C Murray (Thomas, 70), Linnett (Daniels, 45).